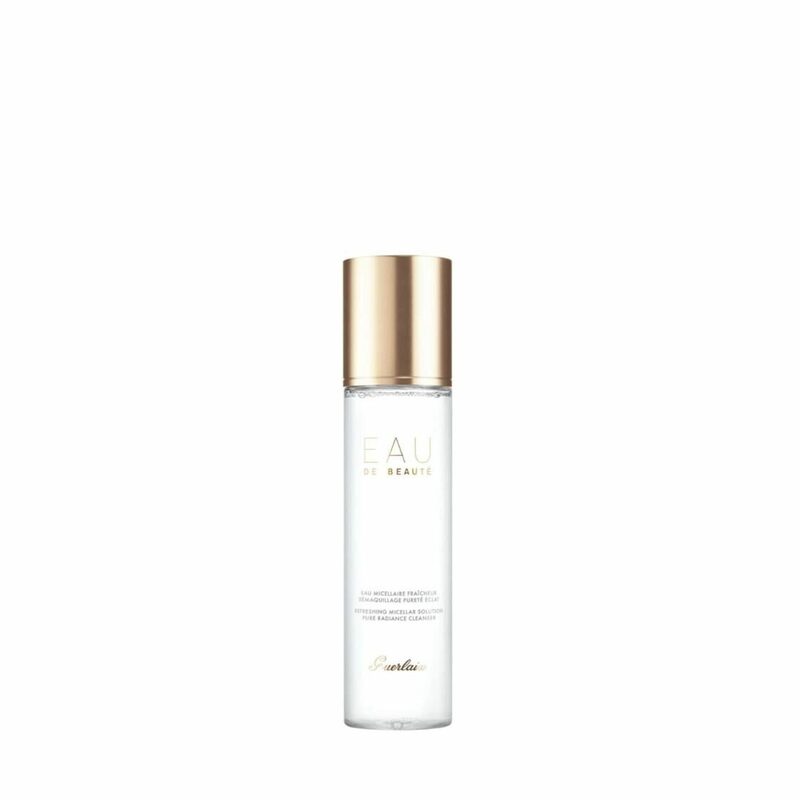 The most essential step of any skin care routine, Guerlain’s exceptional Micellar Cleansing Water is setting a new standard to gently cleanse and beautify skin while providing a unique sensorial experience. This supreme all-in-one solution is the ultimate in cleansing convenience, gently removing every last trace of makeup and pollutants while toning the skin. Powered by nigella oil—selected by Guerlain for its antioxidant properties—skin is left purified, toned, and hydrated. Saturate cotton pad. Gently smooth over entire face and throat. No rinsing necessary. For enhanced results, follow with your recommended Guerlain skin care routine.